Cape Coral officers found a man dead in an area off of North east pine Island road and santa barbara boulevard. 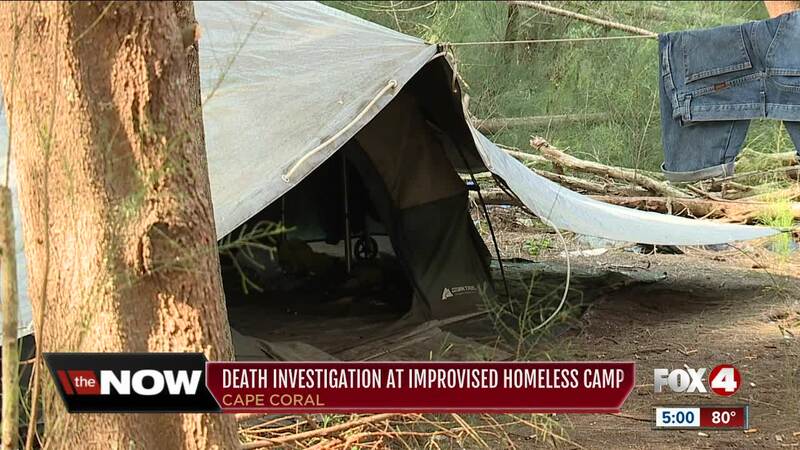 CAPE CORAL, Fla. -- Police are conducting a death investigation in an empty lot off Pine Island Road Tuesday. It's happened in the 100 block of NE Pine Island Road, between Mike Greenwell's Family Fun Park and the Cape Coral Christian Center. A Fox 4 crew at the scene saw a body being removed from what appears to be a homeless camp in the woods. Police say the death is not considered suspicious. They say a male transient was found dead in the woods.